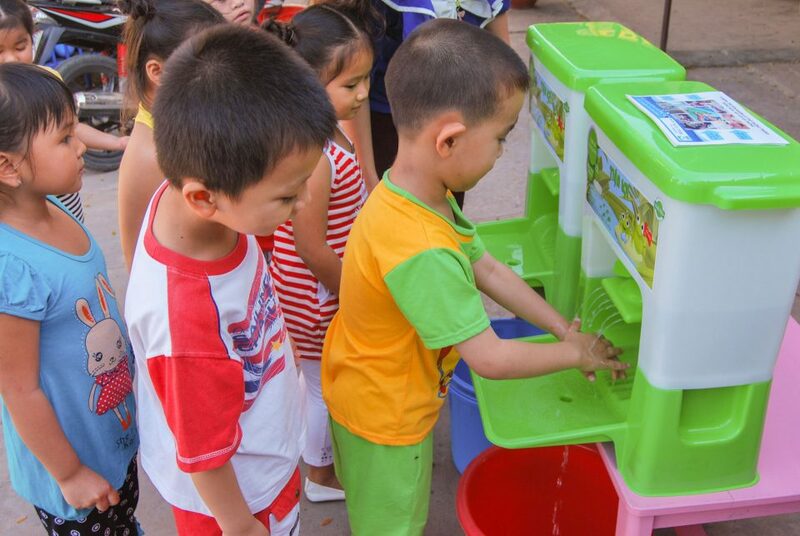 Ho Chi Minh City – HappyTap Co., a leading social enterprise based in Vietnam, is teaming up with global consumer goods company Procter & Gamble for Global Handwashing Day 2015. The partnership will bring together the award-winning LaBobo portable sink with family-trusted Safeguard soap exclusively for consumers in Vietnam. To celebrate the partnership and promote safe hygiene, the HappyTap team will travel across Ho Chi Minh City and the Mekong Delta this week, demonstrating to school-children and parents a fun way to wash hands. with the germ fighting power of Safeguard soap. The LaBobo is an innovative portable sink, designed with the help of mothers in the Mekong Delta and manufactured in Ho Chi Minh City. 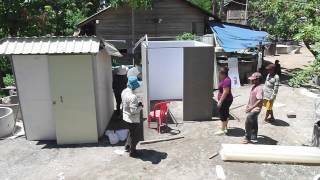 It is the only low-cost, high-quality portable handwashing solution in the world, sold exclusively in Vietnam by HappyTap Co., a leading social enterprise established in 2014. The bright green sink has been exported to nearly 10 countries and has recently received international attention from Reuters, Huffington Post and Al Jazeera. Safeguard is P&G’s largest Global Personal Care brand. First launched as a bar soap in the United States in 1963, it is now, also, available in other product forms such as Body Wash and Liquid Hand Soap. Safeguard is currently sold in more than 15 countries across Asia, Europe, Africa and Latin America. Safeguard has championed the promotion of life saving hygiene habits among kids via proven & effective School Handwash Education Programs. These efforts have so far touched the lives of more than 40 million kids across the world. P&G, through its brand Safeguard, also co-founded the Global Handwashing Day (GHD) in collaboration with the Global Public Private Partnership for Handwashing.